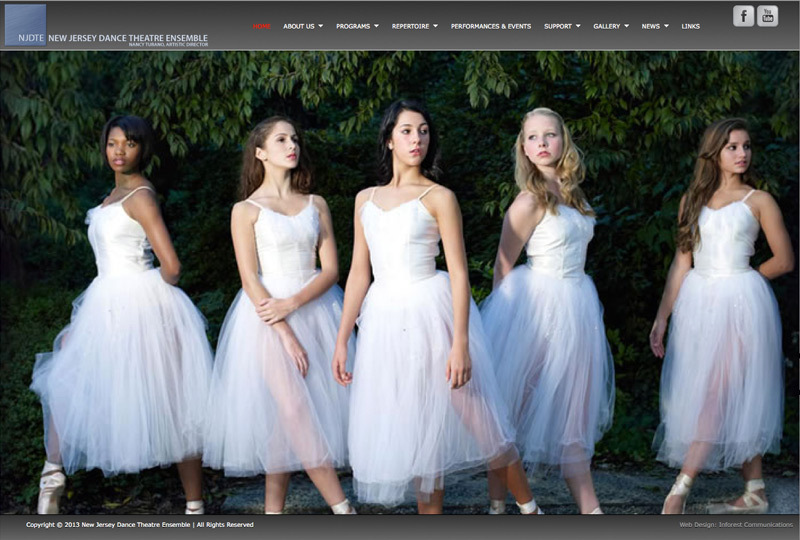 Inforest Communications has launched a redesign of the New Jersey Dance Theatre Ensemble website (http://www.njdte.org). Utilizing the WordPress content management / blogging platform and Twitter Bootstrap HTML framework, Inforest created a highly visual and interactive website with animated slideshows and dynamic content. The site features a “responsive design” template which adjusts the layout and dimensions to accommodate mobile devices and tablets, in addition to desktop computers. The site also fully utilizes WordPress to ensure that all page content is easily edited and extended as the site grows with content.